Vertical Response Review: Best For Free Users And Nonprofits? Home > Business > Marketing > Email Marketing > Vertical Response Review: Best For Free Users And Nonprofits? VerticalResponse is a marketing solution designed to make the marketing process simpler and more effective for small businesses. This article takes a look at the various services that VerticalResponse provides and why they could be the business solution you’ve been waiting for. How Do Customers Rate Vertical Response? Why Are Responsive Design Templates Better? Is Vertical Response Right For You? Below is the pricing for email marketing through VerticalResponse. VerticalResponse now offers a pretty impressive free plan available to anyone with no limited time offer. You can have up to 300 subscribers and send 4,000 emails per month at no charge. For those looking to send emails more frequently or for those with larger email lists, you can purchase monthly plans, which include an unlimited number of emails sent. Monthly prices increase as you add more subscribers, but paying a bit more gives you some added perks. The pay as you go system operates on purchased package credits which begin at $7.50 for up to 300 emails. Pricing goes down the more you purchase. Credits are good for three months from the day you purchase them. Vertical Response offers 501(c)(3) nonprofit organizations 10,000 emails per month for free and 15% off monthly paid plans. 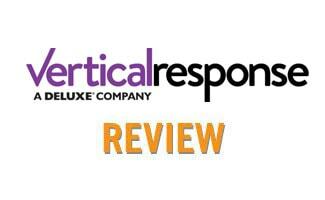 How Do Customers Rate VerticalResponse? See what real users have to say about VerticalResponse, some positive experiences and some negative. We hope these user comments can help you make an informed decision about which service to choose. Why Are Responsive Template Designs Better? A 2017 report found that 61% of email opens occurred on mobile, 15% on desktop and 24% in a webmail client. If you’re not using responsive templates that enable your emails to look great on all devices, you’re way behind the times. Check out this video about mobile templates. Is VerticalResponse Right For You? If you’re looking for an easy-to-use service that doesn’t have a ton of sophisticated features in terms of email design elements and easy ROI reporting, you may want to check out VerticalResponse. Although they’re not among our top choices, their services have come a long way over the past few years, and the ability to incorporate everything within the same service could be the best choice for your needs. Have you used VerticalResponse and any of its newer features? How do you think it stacks up against the rest? 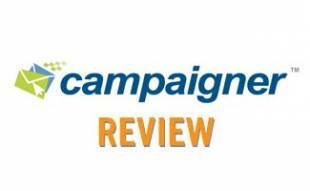 Campaigner Reviews: Has This Service Kept Up With The Times? 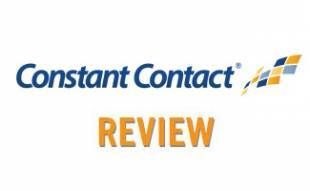 Constant Contact Review: Does Experience Come at a Price? iContact Review: Email Marketing That Stands Apart? VerticalResponse would like to offer our loyal WeRockYourWeb.com readers and exclusive deal! Sign-up today and you will get a FREE 30-day trial and when you enter the coupon code: rockyourweb50 after you are signed up for the free trial (or even if you are already a Vertical Response customer! ), you will save 50% off their Social Media Marketing Program, VerticalResponse SOCIAL for LIFE! So, instead of paying $18, you will pay only $9 per month for as long as you stay a customer. What is VerticalResponse’s Social Media Program? What makes Vertical Response’s Social Media program special? Users can schedule posts up to a month in advance and even use the content suggestion tool if you are looking for inspiration and new ideas. Vertical Response is having issues with response tracking lately. I’m contemplating finding a new EMSP because of it. Sorry to hear about this tracking issue. 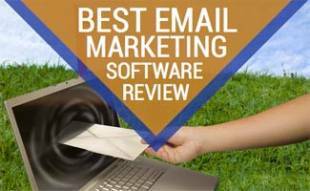 While VR offers a great service, they are actually not among our top three winners for best email marketing service provider. You might want to check out this article to determine your next steps. And our first place winner, Get Response offers a FREE trial, check out their intuitive email intelligence.